• Was there a master plan on the part of Adolf Hitler to launch the Holocaust? Intentionalists argue there was such a plan, while Functionalists argue there was not. • Did the initiative for the Holocaust come from above with a secret order from Adolf Hitler or from below within the ranks of the German bureaucracy. Intentionalists argue there was a secret order, while Functionalists argue there was not. To understand this debate one must look to the origins of Intentionalism as presented at the International Military Tribunal at Nuremberg. “Participation in a conspiracy to commit Crimes against humanity was defined as involving, among other things, the murder and persecution of all who were or who were suspected of being hostile to the Nazi Party and all who were or who were suspected of being opposed to the common plan alleged in Count One" (i.e.. the dominance of the National Socialist party.) The persecution of Jews (now described as the Holocaust) was only mentioned in Count 4 sub B. (a "secret Reich matter") that Hitler had given the order for a final solution of the Jewish question. Allegedly, Hitler had chosen Auschwitz as the center of mass murder. In other evidence accepted by the Tribunal, Hoess sworn that "I was ordered to establish extermination facilities at Auschwitz in June 1941." and "all who were not fit to work were destroyed in gas chambers and their bodies burnt. 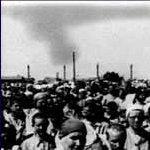 Certain concentration camps such as Treblinka and Auschwitz were set aside for this main purpose." But research by scholars like David Irving, Martin Broszat, Christopher Browning and others have shown that there was never any order by Hitler, nor any planning, nor any direction coming from Berlin. As Broszat puts it, "the Holocaust began bit by bit as German officials stumbled into genocide." In simple terms, “Intentionalism” is dead while numerous new theories on the origin of German policies takes the collective name "Functionalism." It seems to me that there is a fundamental conflict between a "bit by bit stumbling" and a "systematic bureaucratic state-sponsored" program of illegal murder. Last edited by Merlin300 on Mon Nov 27, 2017 8:40 pm, edited 1 time in total. Schleunes' The Twisted Road to Auschwitz (1970) was a key "functionalist" text. Both theories are at variance with revisionist claims. After advancing into the Soviet Union. Well, maybe because territory was gained where one could move Jews, too. This was mentioned in Nuremberg as well, but ignored (Buehler Testimony). The dominance of functionalism is ignored, since it doesn't fit the desired popular narrative of events, which is riddled with atrocity propaganda anyway. Intentionalism is simply easier defensible and actually a mild form of Revisionism. Retract from the propagandized version, while holding up some key tenets. EtienneSC wrote: Schleunes' The Twisted Road to Auschwitz (1970) was a key "functionalist" text. Both theories are at variance with revisionist claims. But Functionalists less so than Intentionalists. There is a continuum, on which Intentionalists and hard-core Revisionists who seek to deny all German responsibility and to excuse all or most anti-Jewish repression represent the extremes. Many Revisionists will concede, or at least keep an open mind about, indiscriminate killings in reprisals and suppression of partisans on the Eastern front, or that local commanders may have killed surplus mouths they could not feed or house sent to them by higher authority back home. Neither constitute a "Holocaust" as such, but there can be some meeting of minds with profitable discussion and sharing of knowledge between such people and the more open-minded of the Intentionalists. Irving, Cole and Weber are denounced as Deniers by the mainstream yet two of them accept the Reinhardt camps as extermination centres and all concede large-scale killing in the East. Note that Hilberg went so far as to openly support Finkelstein, who, while not a Revisionist (not openly, anyway) is anathema to the Holocaust Industry he identified and denounced. I am not personally advocating any position here: just seeking to map the field. Not exactly. Functionalism must be seen as a revisionism of the earlier Intentionalism of the Nuremberg Tribunal. Intentionalism collapsed because there were too many blatant anomalies with the theory of a top secret "Hitler Order"
in June 1941 decreeing the murder of all European Jews. Functionalism is an attempt to fit the newly recognized facts into the mold of Holocaust belief, however the same facts which destroyed Intentionalism are facts which support Revisionist claims. I think you have done a good job at mapping the field. Here is a question to both Kingfisher and EtienneSC, if I may. David M wrote: Here is a question to both Kingfisher and EtienneSC, if I may. I share your assumption, though I can't back it up with hard facts. Functionalism appears to be the dominant theory among holocaust historians today. Functionalism is a vacuous term intended to disguise the fact that the holocaust orthodoxy has no reasonable explanation for how the holocaust began and was put into practice. The functionalists concede that Hitler did not decide and order to kill all the Jews. They concede that the holocaust was not centrally planned. They actually agree with this central claim of holocaust revisionism. However, functionalists don't agree on what really caused the holocaust. There is the "bottom-up approach", "top-bottom approach", "cumulative radicalization", "consensus mind reading of a far flung bureaucracy", the crooked path to genocide... Functionalists agree to disagree. I rather seriously doubt that Hitler would want chaos throughout Europe. It certainly would not have been helpful to the 'new order'. Clearly, there is a panic in the Chosen One control center. So called "functionalism" is a desperately invented weasel position, a pathetic excuse. As you said, a "disguise". Reminds me of the hilariously alleged "code words" that the Germans supposedly used. The weasely 'functionalism" & "code words" rival the impossible claim that 'the Nazis made the millions upon millions of alleged corpses simply disappear'. This is more of the Smoke & Mirrors Show the "Holocau$t Industry" gives the public since there is no proof for the impossibly alleged '6M Jews, 5M others, & gas chambers'. Pia Kahn wrote: Functionalism appears to be the dominant theory among holocaust historians today. Thank you for the link to the latest flailing of Holocaust Believers. Snyder’s latest work has not gotten as much coverage as Bloodlands. The NY Times Sunday Book Review seemed confused and not too pleased with Snyder in its review. by Hitler, and carried out in complete secrecy. You are right, there is no reasonable explanation for how the Holocaust began or was put into practice. Timothy Snyder’s ‘Black Earth’ underscores this point. Kingfisher wrote: but there can be some meeting of minds with profitable discussion and sharing of knowledge between such people and the more open-minded of the Intentionalists. Sorry. Clearly a brainstorm there. Of course I meant Functionalists. Functionalism is a vacuous term intended to disguise the fact that the holocaust orthodoxy has no reasonable explanation for how the holocaust began and was put into practice. The functionalists concede that Hitler did not decide and order to kill all the Jews. They concede that the holocaust was not centrally planned. They actually agree with this central claim of holocaust revisionism. Indeed, but while historians are having to retreat ever further, while simultaneously keeping up the pretence that they still accept the canonical version of The Holocaust, the general public, fed nothing but emotional manipulation by the mass media, are increasingly internalising the Intentionalist thesis as a quasi-religious dogma where no doubting is permitted and all objective enquirers must be reviled as "Deniers". Maybe someone already pointed this out, is it possible that many or some funcionalists are fully aware that there was no Holocaust but are not brave/dumb enough to come out and say it? Pherhaps their prefered method of exposing the lie is by chipping away at it. Personally I'm spreading functionalist views whenever the holocaust is brought up in social circles, it's something I can do safely. One could make a case that "functionalists" might play into the hands of the exterminationists. Regarding the Holocaust- the whole thing is a lie. Chopping off bits and pieces of tentacle leaves the lie to resprout and grow more hardy. But mostly these people are used by the establishment/exterminationists as examples against the lie (portraying it as truth). Of course it's a given that intentionalism meets head on resistance unlike functionalism (except when that functionalist is busted for what he is doing of course).